Year 2018 was one of transition for the banking sector. Sri Lanka fully adopted the new reporting standard IFRS 9 on 1 January 2018 – a move estimated to substantially increase the impairment provisions on loans with a knock-on effect on profits and capital. As a result, some banks faced the challenge of meeting elevated capital ratios under BASEL III, which was then slated to come into full effect on 1 January 2019. “Years 2017 and 2018 were challenging for the banking sector due to the environmental effects of climate change with natural disasters and environmental calamities affecting customers. SMEs in the north and east bore the brunt of several natural disasters, resulting in setbacks for the banking sector as well,” he reveals. “Over the last few years, the trading sector has come under greater stress. We are optimistic that the policy regime will stabilise sooner rather than later,” he adds. KEY PRIORITIES Silva remarks that as Sri Lanka is an import oriented country, favourable exchange rates are needed and exports have to take precedence. Abundant rainfall last year proved conducive for hydropower generation, leading to a reduction in fuel imports. The agriculture sector is likely to be better off this year and the banking sector too should perform well this season, he opines. On the flip side, commodity prices are rising and consumers are facing the challenge of a higher cost of living although inflation is in the forecasted range. And Silva points out that the construction industry, which focussed on infrastructure, was affected adversely as leading contractors faced difficulties in servicing loans. 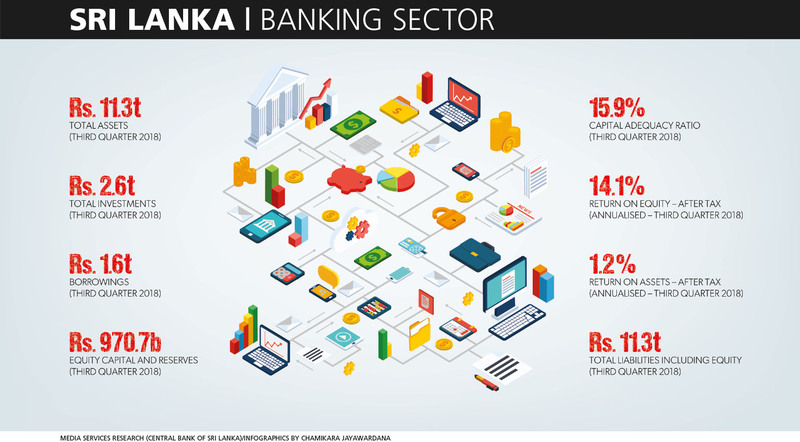 “The reporting standards are completely new to Sri Lanka and the banking sector is well on its way to complying with IFRS 9. But a challenge remains: the new standards have to be understood by staff at all levels, which is an onerous task,” he emphasises. Meanwhile, currency volatility impacts the sector as banks raise capital from international markets, which ends up costing financial services institutions more than what they were prepared for. He observes that while non-bank financial institutions (NBFIs) operate differently from the banking sector, certain parts of the country are highly indebted due to extensive lending by NBFIs – some of which adopt questionable collection practices. Greater regulation of NBFIs will help both sectors operate more harmoniously, Silva stresses. ENTREPRENEUR AID Vertical integration is a challenge for micro, small and medium enterprises (MSMEs). This is because they lack direction, marketing knowledge and end-to-end operations. While the technical aspects can be imparted, MSMEs need to practise financial discipline, Silva notes. Embracing digitalisation is a trend in urban areas but in rural areas, customers continue to prefer to visit bank branches and interact with staff. “The bricks and mortar branch network is here to stay for some time although digital banking is the next phase,” Silva declares. USER PROTECTION To safeguard themselves, customers need financial education and should be aware of what their banks are offering, how competitive the rates are, and the financial stability and credit rating of the institution among other such details. “Selecting a bank should not only be about looking for high deposit rates alone,” Silva cautions. 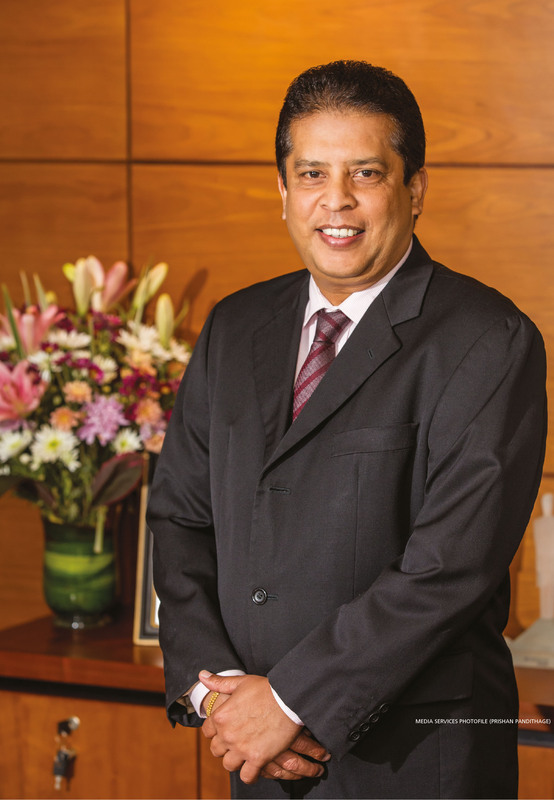 As a regulator, the Central Bank of Sri Lanka (CBSL) has been promoting consolidation for several years and some banking institutions have journeyed down that path. But due to common shareholdings and other constraints, consolidations haven’t gone through, Silva opines. BANKING OUTLOOK Banking sector intentions are to borrow locally by generating deposits but economic fundamentals have to be favourable at the time. 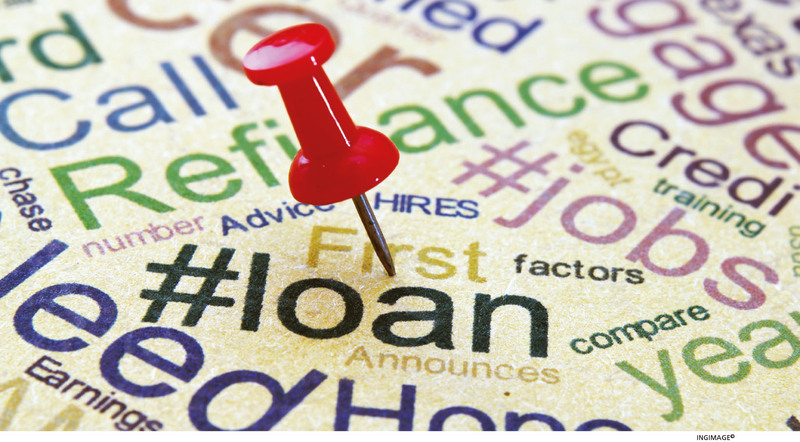 “Securing credit at affordable rates is a new challenge. The recent downgrading will hinder foreign borrowings as the instruments of private sector banks will be rated lower than the sovereign by lending agencies. Risk premiums and borrowing rates will rise as a result. Unfortunately, the downgrading by rating agencies is usually not easily reversed,” Silva asserts. The financial services industry needs to “get customers on board the digital platform. No doubt, the banking sector is doing a lot in the digital space but its efforts are fragmented. However, the regulator’s vision will make such efforts more cohesive – and for this, the regulator must be commended,” he posits. Looking ahead, he notes that cybersecurity remains a challenge but CBSL’s new security standards will further tighten policies and practices: “Overall, the sector is strengthened by the confidence placed in it by customers and other stakeholders,” he affirms.